Are you tired of having a disorganized garage? Need something to keep everything easier to find and at hand? Why not get some magnetic hooks? Magnetic hooks is the perfect solution to hanging cooking utensils on the fridge for easy access, holding a set of keys and a card on the fridge or holding a small wrench on a tool box. Great addition to your kitchen, garage and office. 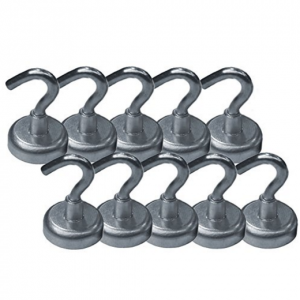 Super strong, useful and looks great, the Madison Supply 9 Pound Strong Neodymium Magnet Hooks make a addition to your refrigerator or file cabinet. The 9 lb size of these hooks make them great for lighter objects such as keys, papers, light kitchen utensils, small tools and more. In a vertical application, the strength of the magnetic hook diminishes about 2/3 due to shear forces. Great in the kitchen and garage. You will love these handy hooks. 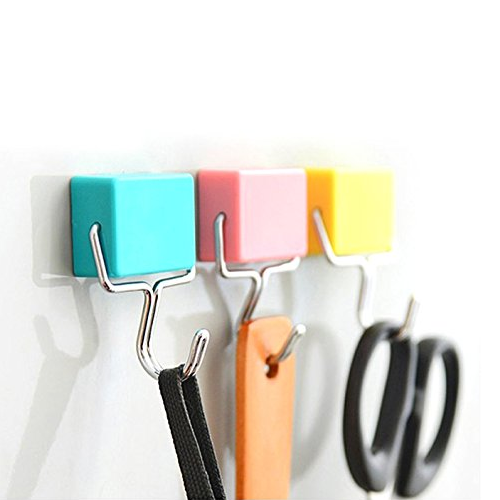 Clean up your storage space and get organized with the MIGHTY STRONG magnetic hooks. 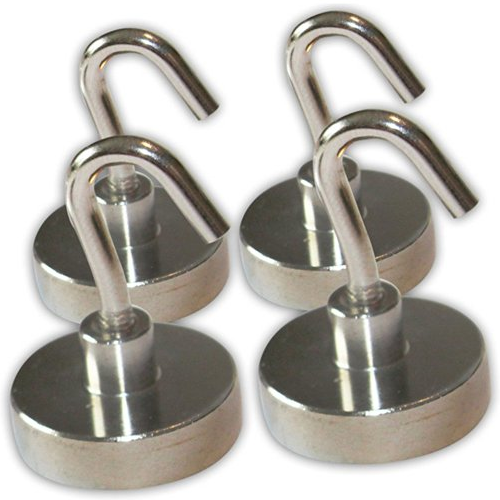 These 25 LB direct pull strength high grade neodymium magnet hooks magnets work great on a tool box, steel shelf, metal filing cabinet and more. You can also take them with you when you travel for easy storage and hanging solutions. Easy to install with no mounting hardware required. Made from quality materials and won’t be easily destroyed. Keep everything organized and at hand with this set of four 25 Pound Hooks. The 25 lb capacity of each hook is based on horizontal application and is reduced by 2/3 if used vertically. Simple yet strong, these hooks are perfect for holding your keys, wrenches, pliers and other kitchen stuff. Ideal for the adult inventor, manufacturer, researcher, DIYer, problem solver and more. Size: 1″ base x 1 11/16″ high. Need extra hanging storage? 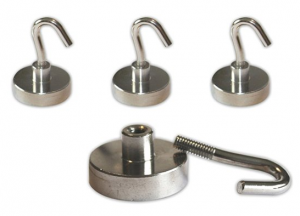 This Strongest Heavy Duty Magnetic Hook Set is the perfect solution. This set includes 2 hook types so you can customize your setup based on what you need to hang. 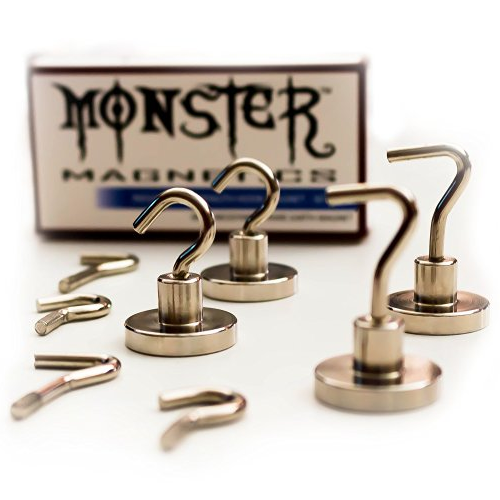 The neodymium magnets work great on a tool box, steel shelf, filing cabinet, garage shed or kitchen. 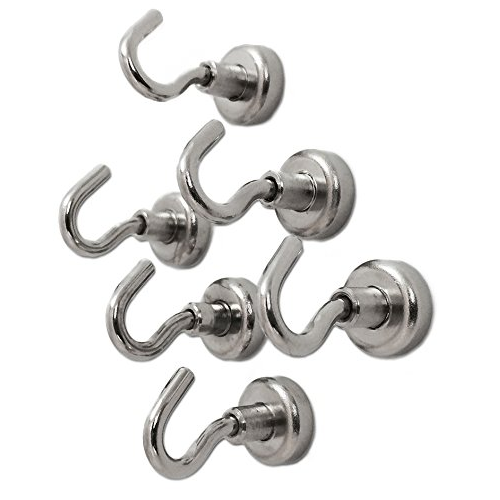 Small and attractive with nickel-plated finish, these strong magnetic hooks will look great anywhere. Easy to assemble. If you’re looking for a magnetic hook that’s both attractive and useful, then you will love the totalElement All-Purpose Magnetic Hooks. These versatile magnetic hooks are great for the refrigerator, stove, dishwasher, school locker, file cabinet, garage shelves and more. The magnet is strong enough to hold most everyday necessities and accessories. You will also love the durable pastel colored finishes that will look great in any kitchen, office or school.